Discover cultural treasures buried in the bookshelves at Suffolk Public Library. Participants will learn about Latin American authors in the library collections, sample some unique beverages and snacks, and weave a traditional Ojo de Dios craft. Complete each task on your treasure map to enter for a chance to win a prize. 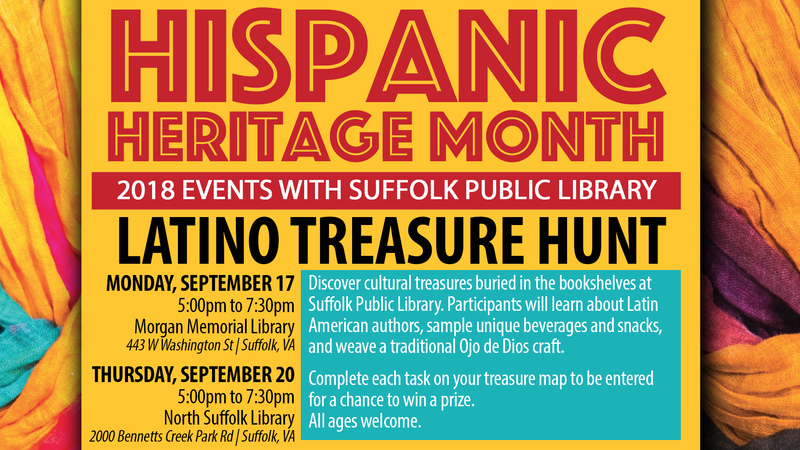 This is part of SPL's observance of Hispanic Heritage Month, which runs September 15 - October 15.